Director – Daniel T. Lusko, Screenplay – K. Lee & Hank Woon, Producer – David Michael Latt, Photography – Richard Vialet, Music – Chris Ridenhour, Visual Effects Supervisor – Emanuel Rosario, Production Design – Derek Bensonhaver. Production Company – The Asylum. Apollo Station activates a beam that will manipulate weather in the hope this will create plentiful free energy. The project quickly goes awry and the reactor trapped into a feedback loop that cannot be shut down. This creates a vast storm that sweeps across the country causing mass destruction. The project’s original designer Nathan Sims is caught in the midst of this and flees the storm front with his wife Mona and son Johnny. As they struggle to survive, Nathan tries to come up with a means to reverse the amok weather. The disaster movie was always the province of the 1970s in big-budget spectaculars such as Airport (1970) and sequels, The Poseidon Adventure (1972), Earthquake (1974) and The Towering Inferno (1974), which featured A-list Hollywood names facing off in pieces of self-contained disaster. The genre underwent a revival in the 1990s with the arrival of the CGI spectacle film in efforts such as Independence Day (1996), Dante’s Peak (1997), Armageddon (1998) and so on, while almost entirely giving a career to Roland Emmerich. Come the 2000s and the disaster movie has now become the province of the cheap Syfy Channel science-fiction movie. It feels as though just about every second week that Syfy is turning out some type of disaster movie, usually involving either some novelty end of the world scenario or else a massive natural disaster, as witness the likes of Path of Destruction (2005), The Black Hole (2006), Meltdown: Days of Destruction (2006), Lava Storm (2008), Annihilation Earth (2009), Ice Twisters (2009), Megafault (2009), Arctic Blast (2010), Polar Storm (2009), Ice Quake (2010), Meteor Storm (2010), Quantum Apocalypse (2010), Stonehenge Apocalypse (2010), Behemoth (2011), Collision Earth (2011), Earth’s Final Hours (2011), Mega Cyclone (2011), Metal Tornado (2011), Seeds of Destruction (2011), Miami Magma (2011), Super Eruption (2011), Super Tanker (2011), 2012 Ice Age (2011), Seattle Super Storm (2012), Jet Stream (2013), 100° Below 0 (2013), Stonados (2013), Asteroid vs Earth (2014), Christmas Icetastrophe (2014), Crystal Skulls (2014), Firequake (2014), LA Apocalypse (2014), San Andreas Quake (2015) and Stormageddon (2015). As evidenced by 500 MPH Storm, Syfy is clearly starting to realise that the most of the possibilities offered by regular disasters have been exhausted and are rehashing them amplified by a factor of ten or a hundred. 500 MPH Storm is another cheaply produced film from The Asylum. It comes with some extremely sub-par CGI storm effects. The problem dramatically is also that a very large storm is not something that is terribly exciting as a menace. 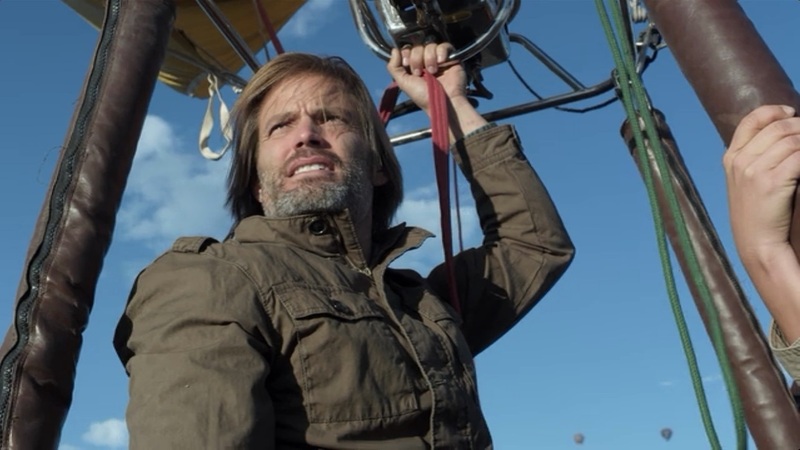 It becomes amusing as each piece of disaster spectacle is served up and in every scenario Casper Van Dien and his family only manages to keep ahead of the crappy CGI storm front by mere metres in their SUV. The explanations for the storm are poorly written – the experiment involves something to do with renewable, geothermal energy and the burning up of the ozone layer, all of which are quickly whipped by us without dwelling on any of them as a moment’s serious consideration would render them the nonsense they are. The film’s weak storm effects and contrived pieces of drama only thinly paper over the cracks – there is a good deal of time-padding near the end with the three family members racing around empty warehouses and rooftops trying to triangulate the signal, or slow-motion scenes of them running across a river to escape. 500 MPH Storm comes from Daniel T. Lusko. This was Lusko’s first film for The Asylum and surprisingly the other films he has made have all been Christian ones – documentaries such as Epicenter (2007), The Road to Rome: Tracing the Steps of Paul the Apostle (2007), Inside the Revolution (2009), Riptide (2010) and Never Surrender (2011), as well as one work of Christian fiction with Persecuted (2014).